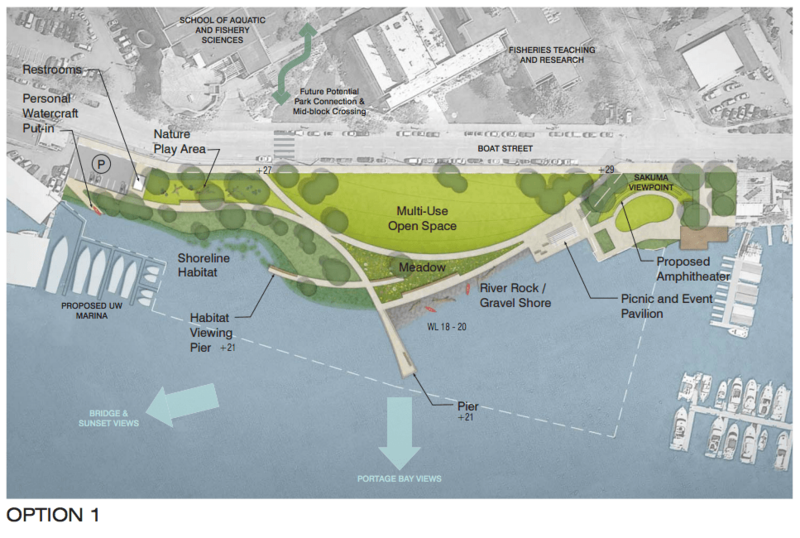 A vision for a new park on the shores of Portage Bay has finally come into view. In August, Seattle Parks and Recreation (SPR) received approval from the Seattle Design Commission to proceed with plans to redevelop a 3.58-acre site formerly housing the University of Washington Police Department headquarters as a community park for the University District. Park planners sought feedback from the community in late 2015 and early 2016 to determine park programming and design priorities. The Portage Bay Park location is only a ten-minute walk from the heart of The Ave in the University District and right next door to the University of Washington-owned and operated Sakuma Viewpoint on the footsteps of Agua Verde. The project is complex partnership between the local community and City of Seattle, University of Washington, and Washington State Department of Transportation, with the latter two contributing $11.3 million to fund it. An elevated boardwalk linking two the piers and Sakuma Viewpoint. Circulation throughout most of the site would be accessible to those with mobility challenges. The only portion remaining inaccessible would the pier and hand-carry boat ramp that extend from the descending walkway, which are the result of topography changes of the terrace. 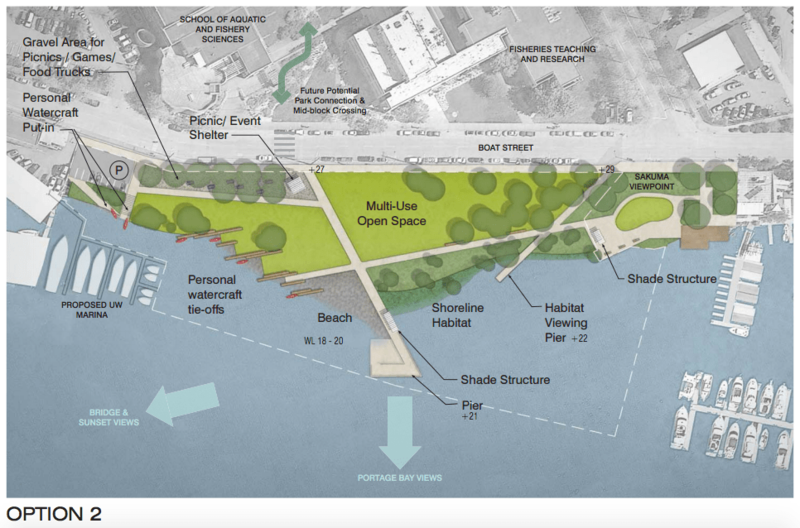 The overall design allows for flowing access around the site and creates two key focal points with the main axis centered on the pavilion to Portage Bay and the largest pier. Easy access to drop-off and pick-up kayaks and hand-carried boats. Commissioners are concerned with the lack of definition along Boat Street and encouraged the project team to design along the street edge so that it differentiates the space from the surrounding campus. While the Commission appreciates the proposed interpretive element, they recommended the design team incorporate interpretive elements throughout the project site. 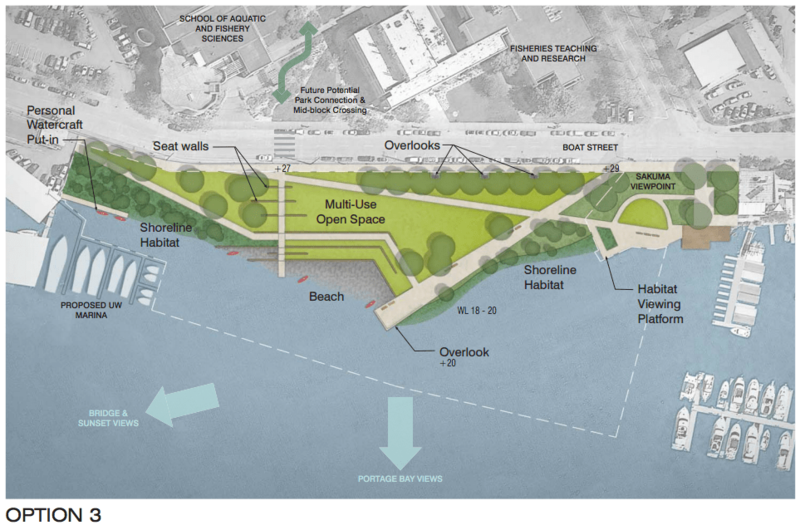 The Commission also recommended the project team further develop the portage trail and its reconnection to the waterfront so that it acts more strongly to interpret the historic trail that that brings authentic meaning to the site. The SDC encouraged the design team to continue exploring the programming underneath the pavilion, including how the inclusion of attached swings will affect use and circulation in contrast with the inclusion of moveable tables and chairs. Commissioners thought that the pier was working very nicely. There was concern that the quantity and type of seating might not be adequate, especially along ADA routes through the park. While the general plant types were appreciated, the Commission was not able to discuss the landscape in detail due to the lack of a detailed plant palette. Commissioners recommended the project team return to the next SDC meeting with a detailed planting plan that includes elevations and cross sections that illustrate specifics about plantings in sloped areas. SPR will continue further refinement of the project proposal before bringing it back to the Seattle Design Commission in the coming months. Part of that is dependent upon permitting, which SPR has already begun. In July, SPR submitted development permits to the Seattle Department of Construction and Inspections, which are proceeding through a second cycle of review. Before submitting permits, SPR went before the Landmarks Preservation Board to determine if the Byrant Building–the former headquarters of the University of Washington Police Department–would be designated as a landmark. 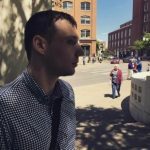 A 5-4 vote in favor was not enough to garner designation, which means there are no protections required for the structure and paves the way for removal. SPR has an ambitious construction timeline with a desire to get final approvals and break ground in 2017, and wrap up construction in 2018.